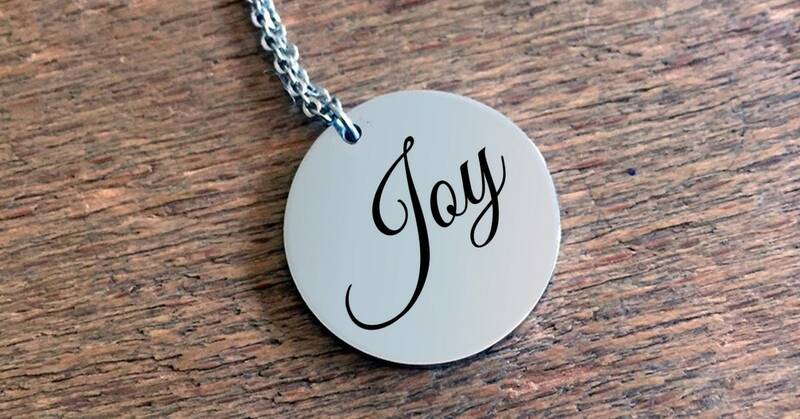 Beautifully laser engraved stainless steel Joy inspirational necklace. Makes a wonderful gift for anniversary, graduation or mother's day. 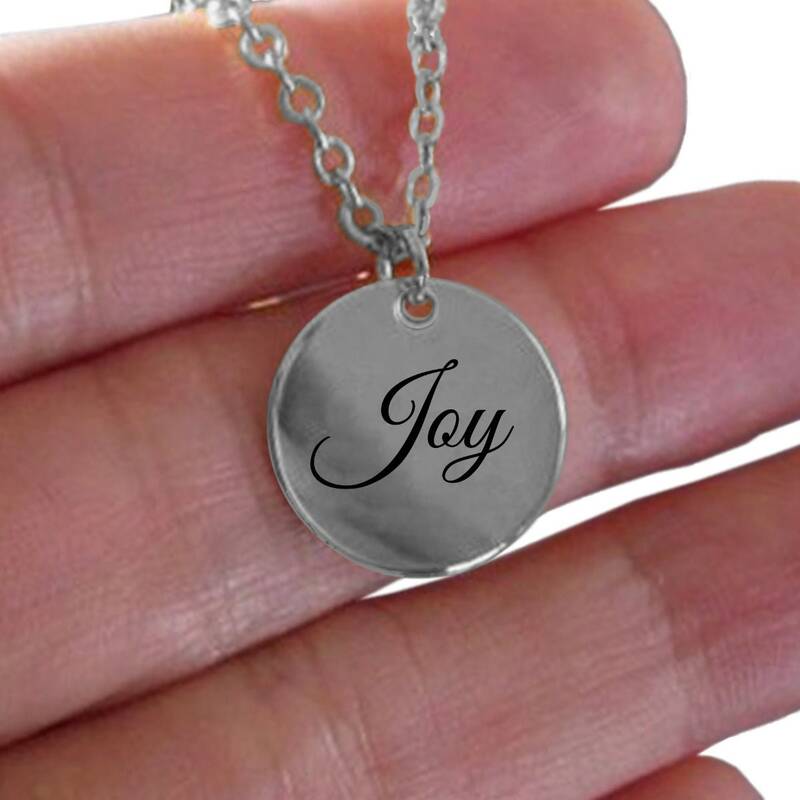 A perfect charm necklace to remind us of staying positive and find the joy in everyday moments.